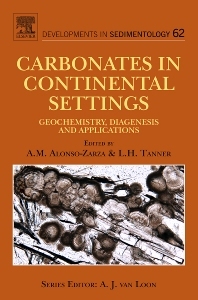 This book provides an up-to-date compilation of the latest research on the petrography, facies, paleonvironmental significance and economic aspects of continental carbonates. The overall organization of the book first emphasizes the descriptive aspects and processes operating on carbonate deposits in greatly varied settings, and then considers applications for basin analysis, as well as economic and historical aspects. This volume will be a valuable tool for graduate and postgraduate students as well as for experienced researchers. The first part (volume 61 in this series) will deal with the facies, environments, and processes of carbonates in continental settings.